How many sessions can I attend each month? The Platinum membership entitles you to unlimited classes. You can book and attend as many classes as you like each week and also attend our Run JB club sessions. Do I have to attend the same sessions every week? A major benefit of your Platinum membership is that you do not have to attend the same classes each week. For example, if you normally attend Circuits on Monday nights but can’t make it one week due to a birthday celebration or work commitment, then you have can attend Metafit or Pilates instead. How do I book onto the sessions I want to attend? As a Platinum member you have priority access to online class booking either via our website or the Mindbody app. The app makes class booking far easier, quicker, and more transparent, as you can view the schedule of all classes you have booked via the app. What happens when I am on holiday or away with work? As Platinum member, you have the freedom and flexibility to book classes however you choose. So if you miss a week, your membership allows you to book and attend more classes than normal the preceding or following week to compensate. So no more wasted sessions due to holidays! The normal timetable may vary during Holiday Weeks such as Christmas and Easter and other occasional weeks. Any class alterations will be reflected in the class availability on the online booking system. Your membership also allows you to attend more classes than normal the preceding and/or following weeks of that month to compensate for any class schedule variations. In the event that you can no longer attend a class that you have already booked, please cancel as soon as possible via our MindBody Class Booking System. 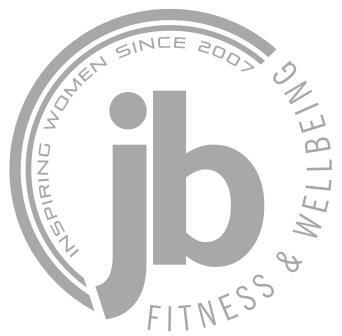 Run JB Membership is a complimentary benefit for Platinum members. Existing Run JB members can therefore cancel the separate recurring payment for Run JB as soon as they sign up for Platinum Membership. Can family members or friends use my Platinum membership or attend the sessions I miss? No, unfortunately all memberships are specific to the individual and sessions cannot be transferred to friends or family. Is there a minimum age for Members? Yes, all members must be 18 years or over. Who can use the New Guest Passes? Platinum Members are entitled to two new guest passes every month. Guests must not be previous or existing customers of JB Fitness & Wellbeing and the same guest can only attend once. You must notify us in advance when you wish to use your guest passes, so guests can be contacted with relevant joining instructions.